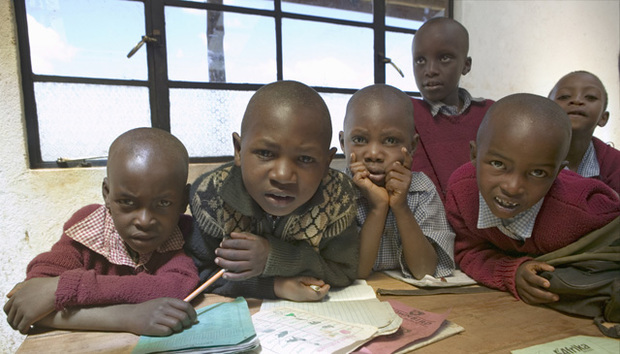 With the Kenyan government’s commitment to free primary education for all, going to school is no longer a problem. However, access to textbooks is. Fortunately, Kenya harbors some of the best brains round. And now the problem of textbooks is being solved in the most unique ways that technology can allow. Have you ever enjoyed reading an interesting book and kept it in your library or closet after that? Has it ever occurred to you that there are other readers who have enjoyed other interesting books but have never read the one that you have kept in your closet? Instead of keeping that interesting book in your closet, just like other readers have done, how would you like swapping the one that you no longer need with one that you need? This is necessary because the Kenyan publishing industry has had a serious impact on access to textbooks by pupils and students. As observed by Daniel Rotich, the liberalization of the economy in Kenya since the mid-1980s has influenced the operations in the educational publishing sector as it did in other sectors of the economy. The structural adjustment programmes, fronted by the IMF and World Bank, that resulted in a reduction in government spending in the education sector had a direct impact on publishing. In fact, one of the government actions was to abolish free textbooks for schools. While the liberalization of the economy also had an upward impact on the prices of most commodities, including paper prices, which led to a rise in textbook prices. This has necessitated interventions aimed at making sure that more and more pupils have access to textbooks. This is the reason why SwapKitabu has won the hearts of both parents and pupils alike in its efforts of increasing accessibility of textbooks. SwapKitabu is an open market place for you to exchange school textbooks. This means that all you have to do is to bring the textbooks your children no longer use, and exchange them for those that they need. We caught up with Steve Nguru, the founder. The idea came to me early last year (2013). However, its actualization did not properly take off until November when it won a pitching competition organized by a Nairobi-based Kenyan tech business incubator – The Nailab. Can you tell us about the basics of your company, what is the size of your company in terms of employees, etc? We are a startup with two employees both of whom are involved in business development. Our uniqueness springs from the fact that though inherently simple, the idea that is SwapKitabu addresses a need that affects both the public and private institutions and learners of all levels. My competitors include bookshops and second-hand sellers who demand hefty commissions. In contrast, our unique proposition makes it easy for parents and students to save money by selling the textbooks they no longer need and using the money to buy those that they need; furthermore, because we employ a technology platform to make it easier to search for textbooks, we have made the process simple, affordable, and convenient. Can you please comment on the education situation in Kenya and East Africa? In Kenya today, enrolment is at an all-time high of more than 95% at primary level, after the Government of Kenya introduced free primary education in 2003. However, recent data by education researchers Uwezo Kenya, shows that the quality of learning has continued to fall mainly because of lack of access to curriculum materials (read textbooks) whose costs continue to rise. Sadly, today, more and more households cannot afford all required textbooks. This picture is replicated in the rest of East Africa. Would you say that Kenyan and East African publishing/writing potential are underutilized? Why? I am not sure I am competent enough to answer this question. But what I can say is that as a mass market product, obviously the more pupils and students can access textbooks either through Government Issue or otherwise, the better metrics for the publishers, and hence more competition with more writers. You have indicated that according to the latest statistics by UNESCO the ratio of pupil to textbook is 1:4 and 1:7 in upcountry. How are you changing this? Is there some statistical evidence from your company, like the number of books swapped etc? As the name suggests, SwapKitabu is enabling households to lower their net spend on textbooks each year, because the savings accrued enable more of them to access all textbooks in all subjects. Although we are in our initial stages, we have enabled a few fellow parents in several schools we have visited to contact each other for textbooks and exchange them at free market prices. Our most important period is coming this December and January when parents and students will need to sell the books they have used this year and get the ones they need next year. Although our platform primarily provides a search facility for buyers and sellers, we have a LipanaMpesa (pay with mobile phone money called Mpesa) facility for those who need to pay us for the books we source on their behalf. In your business, what do you consider as the greatest achievement? Making it possible for more and more households to access required textbooks by lowering their costs. Like every new startup without large external funding, we have had to rely on own savings in setup, technology platform, staff, and marketing and logistics. We are open to partnerships that can help us improve our go-to-market efforts. How is your company coping with the limitations posed by low internet usage among parents? In a sense you are right that if all parents were users of the internet, then more of them would access our service at any time. But don’t forget that the parent with the book must eventually meet the one who needs it so that the swap can take place. Thus, a mobile phone is all each one of them needs in such a case. Having said that, the greater part of our business model is to simply organize schools to hold book market days a few times in a year, so parents can meet and swap. Where is, and where do you see the Kenyan education sector now and in the next five years? Granted, we will not change the space overnight. But we see ourselves helping to raise the textbook to pupil ratio in small but measurable ways in the next five years, especially if we achieve our aim of partnering with government on the same. If you were to change anything else in the education sector, what would you have targeted? I would build an online platform that encourages students to share own notes like the way they do with music. Like the way they do with music? Can you tell us more? I am referring to peer-peer sharing of music files as popularized by Napster in the last decade. In the same way, students (and tutors) will share their personal school notes online. Is this something that your company wants to do in the near future? If yes, what is preventing you from doing it now? Yes, it is something we would give considerable attention to at the proper time. Like any startup, we do consider it imprudent and rash to attempt to do too many things too early. My short-term goal is to create market awareness amongst schools in urban Nairobi and few schools in a rural setting. My longer-term goals are to be the go-to place for all parents and students looking for textbooks. I want the textbook to pupil ratio in all of Kenya and beyond to one day be 1:1. Did I mention that by recycling books this way, SwapKitabu will save the Kenyan economy billions of shillings each year that are spent to purchase new textbooks? And is it not obvious that our “reuse, reduce and recycle” model helps save our forests?